As for myself, I got Peach Parfait and Strawberry Shortcake for review!! Peach parfait is a coral color with a hint of gold. You can see that Peach Parfait has sparkle comes from their tiny gold particles that produces a shimmery finish. The shimmery finish is fine and, so you don't have to worry if you're going to look like disco ball. The color is buildable, so you can always layer it to achieve bolder color. Or if you want to only use a light swipe for a daily natural finish, this product works great too. 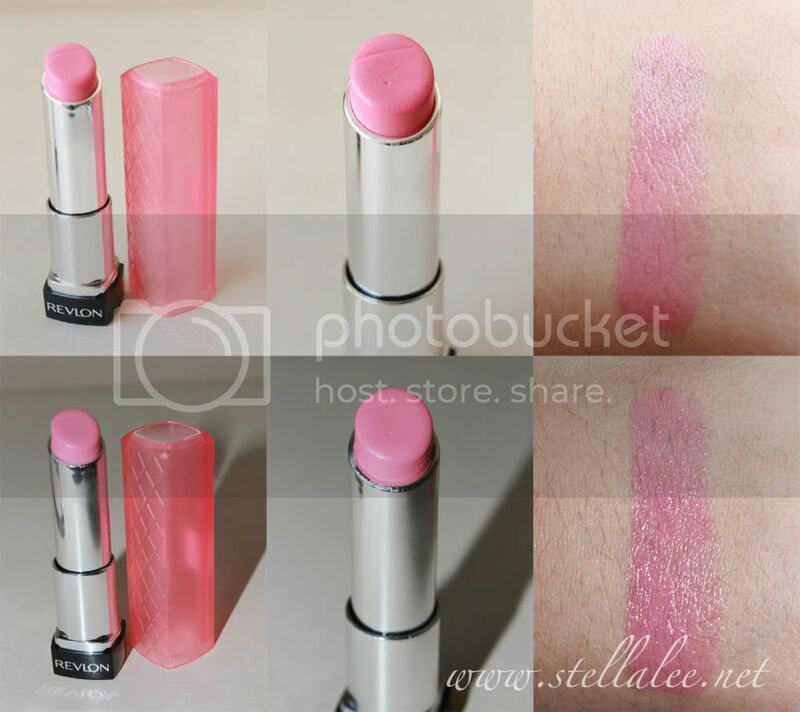 One thing to be sure is that the result will be different on everyone, so the best thing to know which shade suits you best is by trying it by yourself at the counter. 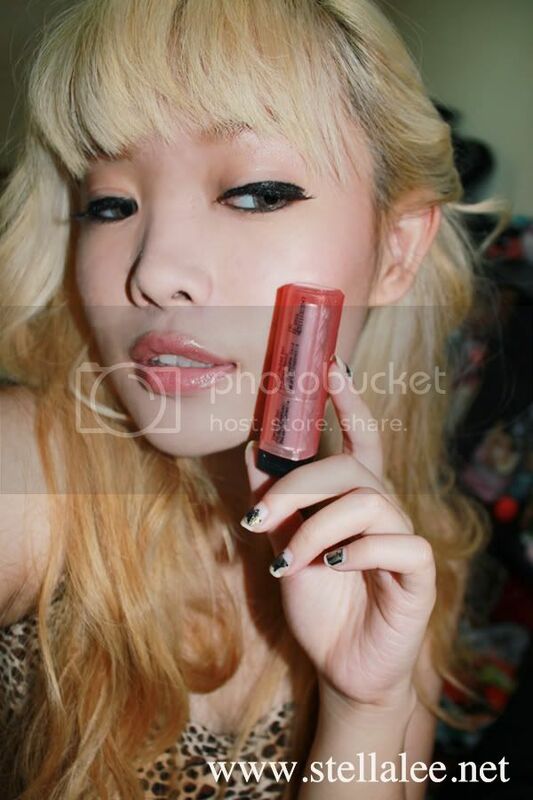 Go to any Revlon Counter and try it by yourself. Â Despite all the good stuffs coming from this lip butters, I must say that this product has its downside as well, the color doesn't last long on my lips. 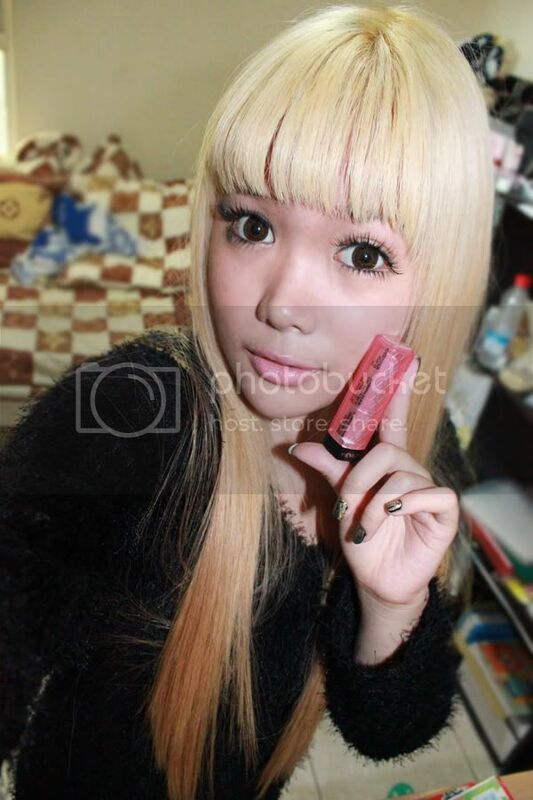 The color fades after 1 hour so I have to re-apply this Lip Butter often to show up the color again. Though, the moisturizing effect last for about 4-5 hours. I wish the staying power would be better, and this product would be perfect! 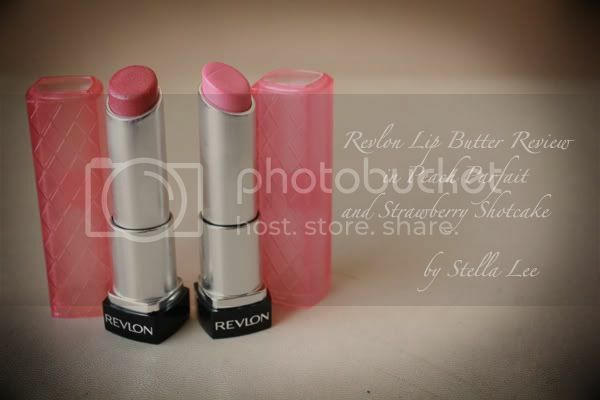 Revlon Lip Butters can be purchased at any Revlon Counter for Rp 75.000! I find that it's really affordable and the price is almost at the exact price like in USA, $8. I think that it's a great deal. Although I have to re-apply a lot, but I think that this product is a worth to try. My lips is usually dry and chapped, so I put a lot of lip balms, but as this Lip Butter are pretty moisturizing already, the step is not necessary anymore. Now it has become my beauty on the go! 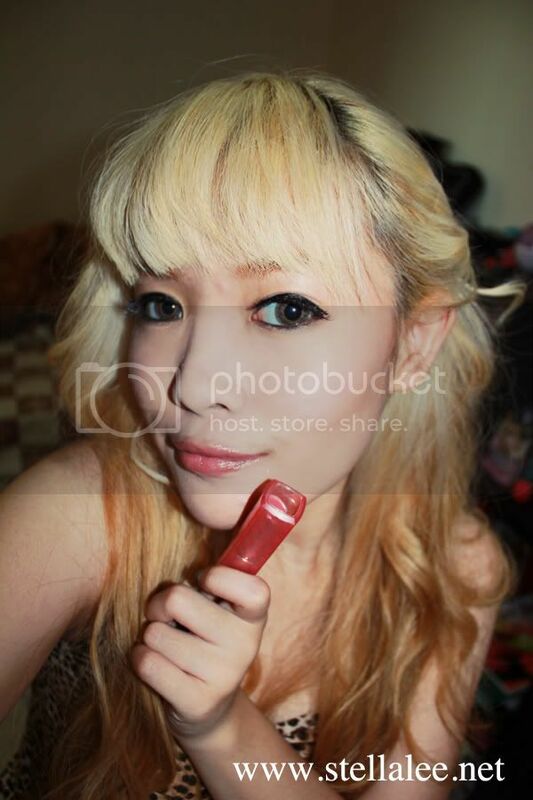 And anyway, do you know about Revlon Kiss For Life is a CSR [Corporate Social Responsibility] ? What's better is, if you purchase their Super Lustrous Lipstick, Big Brush Mascara, and New Complexion 2-Way Foundation, you will also take a part of donating Rp 1.500 on each product. 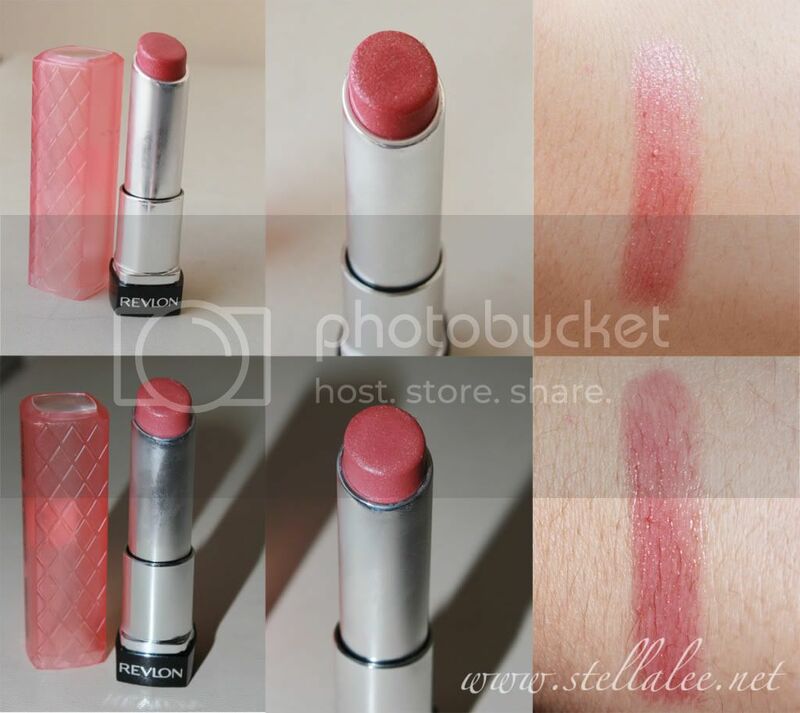 So, If you're interested in purchasing Revlon Lip Butter, you can just go directly to any Revlon Counter and find your best shade directly there! But i think not everyone can pull it off because it is somewhat too pale for tanner skin? why does the end of ur falsies near the inner cnr eyes seem to be misplaced? Will put attention on it more in the future ! The Strawberry Shortcake color looks good on you! Hahahaha you seem really interested with it! I have the strawberry shortcake and lollipop, now I'm dying to try the peach parfait. It looks good on you! My New Fake Nails Set!